One of my ambitions in life to is to have a job that I love, and given my excitement for Monday's I'm pretty sure I'm there! What started as a hobby has now definitely become my bobby (business combined with hobby)! Monday was a very exciting day for us because we welcomed Deb Sims, our newest recruit to our 'behind the scenes' team, joining us to take on a part time fundraising co-ordinators job. As we continue to expand additional support is much needed so that we can ensure we have the man power to keep all engines firing - welcome Deb!!!! On another note, early in the week I completed the renewal of my first aid certificate. This should be completed every three years, and CPR every 12 months. I cannot stress how important it is to refresh your memory, plus always know where the closest defibrillator is located AND the person who has the key to its location! Just remember - you never know when you will need to apply first aid......rant over! After a long three weeks of sickness our twins are finally better and headed back to daycare. They attend daycare two days a week, and I also have Shea Broomy (one of our trainers, Kim Broomby's daughters) help me once a week. It has truly been once of the hardest things to get through, for starters, seeing your babies sick is the worst, and secondly trying to juggle babies and work is hard. I have found that talking to friends and our trainers has really helped show me the light, which is comforting because in the dead of winter I didn't think we would ever leave the house again.......EVER! It is a constant challenge, juggling work and kids. I have found that being flexible each day, plus asking for help has been my two saving graces, plus talking to others about it! 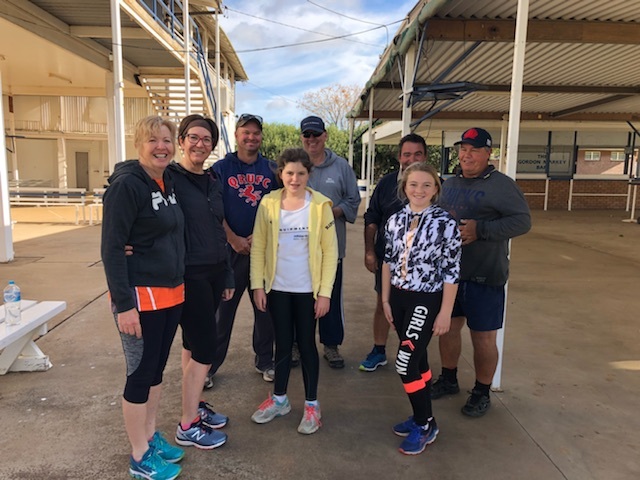 To wrap up this weeks blog, we have launched our 'Spring into Spring' program with Anna Altus at Coonamble. She ran a free group fitness class and breaky on Saturday, and will run two free group fitness classes each week for a month. We will also run a health retreat next year. Next stop is Eugowra, Gooloogong and Dunedoo in October, then Collector and Blackall in November, plus many more communities! We want everyone to literally Spring into Spring, alongside their communities to have fun and get moving!